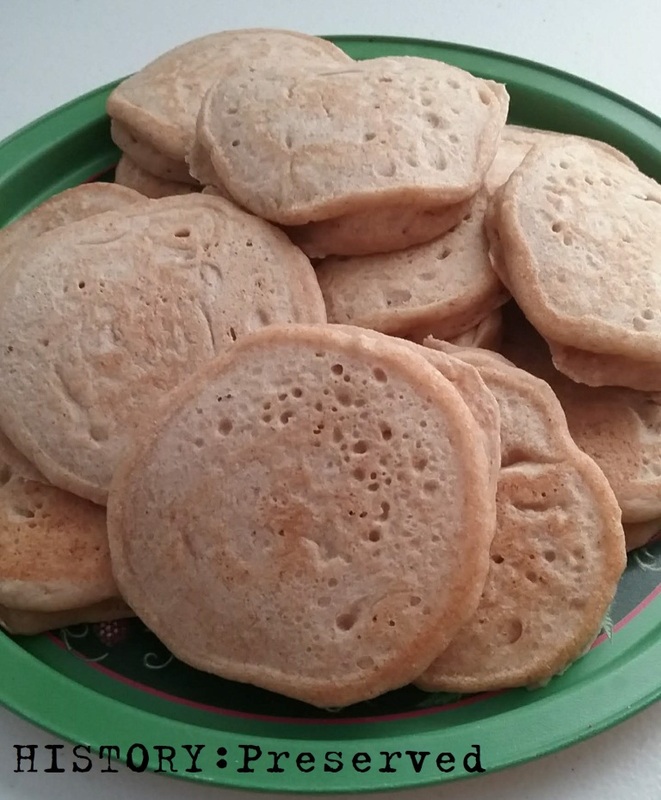 Griddlecakes, or pancakes, are a pretty standard feature around our house. I like trying new versions of the recipe to find different textures and variations on this American classic. 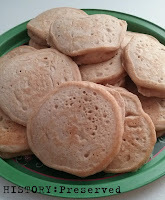 Some of my favorite ration recipes for griddlecakes include Cornmeal Griddlecakes and Oatmeal Griddlecakes. The recipe in this menu for griddlecakes was a new variation for me in that it used a couple tablespoons of cornmeal. 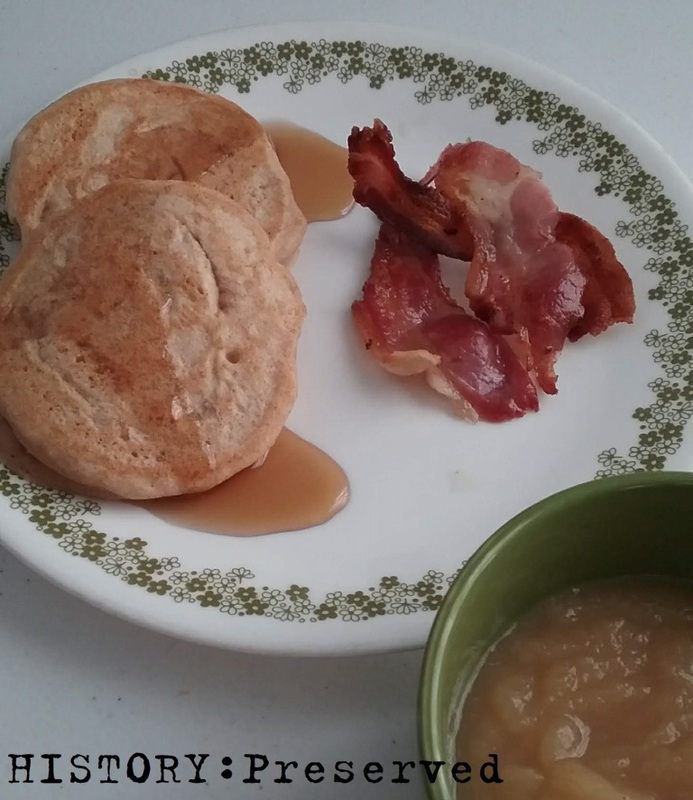 We love having applesauce on top of our pancakes or French Toast, so the applesauce suggestion was perfect. I used real maple syrup and some bacon ends I had in the depths of my freezer that I'd forgotten about. The griddlecake recipe was a good one! The cornmeal added a subtle texture that I thought was nice. It was great to have a familiar and easy meal for dinner! Looks good. And applesauce on pancakes or waffles — brilliant idea!